Le Coin Français’ Executive Chef, Darren Badenhorst, will once again get the opportunity to showcase his French culinary skills this week at the fifth annual Goût de France (Good France) week which takes place during 18 to 24 March. Adding extra Franschhoek flair will be the team at Le Petite Ferme, under the guidance of Executive Chef Kyle Morris, who will also be participating in this year’s event. The purpose of the initiative is to embrace and respect differences, the exchange of recipes and most importantly forging new relationships. This unique global event showcases the skills of over 5 000 chefs across five continents. South Africa is 8th on the global list in terms of the number of restaurants involved in Good France 2019. In embracing its philosophy of forging new culinary relationships this year Goût de France involved French embassies across the globe and chefs from around the world as they all offered the same “French menus” at their establishments on the same day. 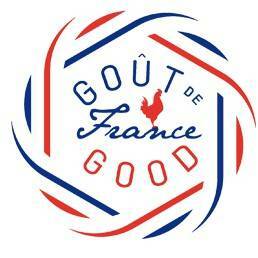 This year Goût de France Good France has chosen to support the No More Plastic Foundation initiative, whereby in promoting sustainability the chefs are invited to prepare a menu with dishes that are low in fat, sugar and salt, and reflect concern for “good food” and the environment. For more information on Goût de France visit https://www.france.fr/en/campaign/gout-france-good-france.